Macy’s instills the spirit of giving in ‘The Wish Writer’ from J. Walter Thompson in collaboration with Director Filip Engstrom of Smuggler and The Mill. 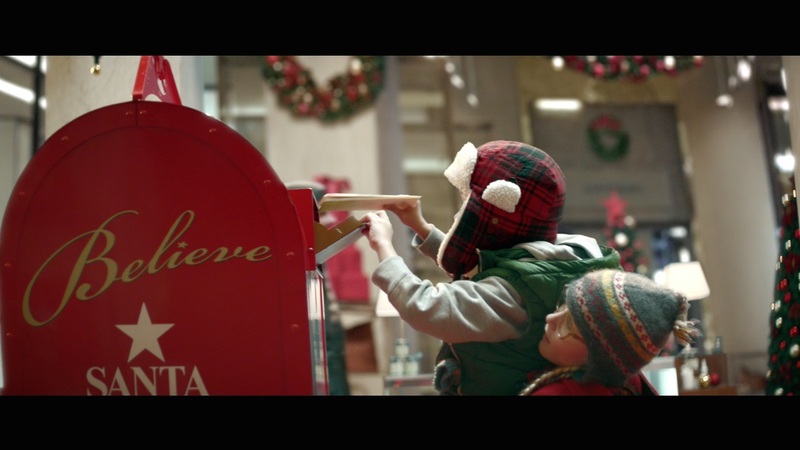 The heartwarming film ushers in the 2015 holiday season as part of the Macy’s eighth annual ‘Believe’ campaign. There’s no greater gift than generosity, a reminder from a little girl whose selflessness shines through when she discovers the power of a magic pen. The touching story goes hand in hand with Macy’s Wish Writer app, a modern take on letters to Santa in partnership with the Make-A-Wish Foundation. Despite being filmed in 90-degree weather at the end of July, there’s no shortage of yuletide cheer in ‘The Wish Writer’. Artists at The Mill helped ring in the spirit with wintry set extensions and matte painted snow – because without snow, would it really be the holidays?